The Beurer MG40 Infrared Massager features a rotating head which enables all parts of the body to be reached easily. 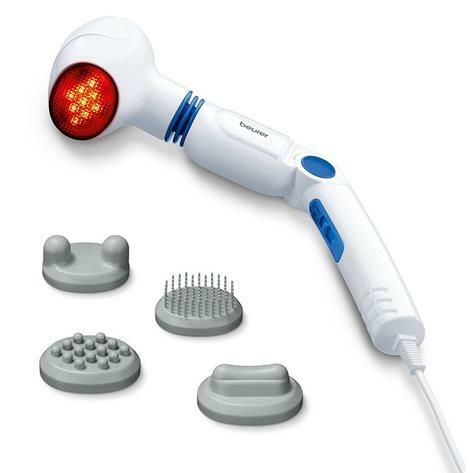 The vibrating massage head provides soothing and relaxing therapy for aching and tired muscles. 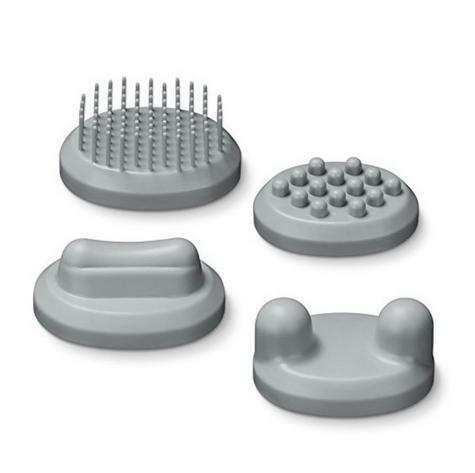 To provide extra versatility the unit is supplied with four interchangeable heads one of which has reflexology style nodules. The massage intensity can be adjusted with 3 levels. 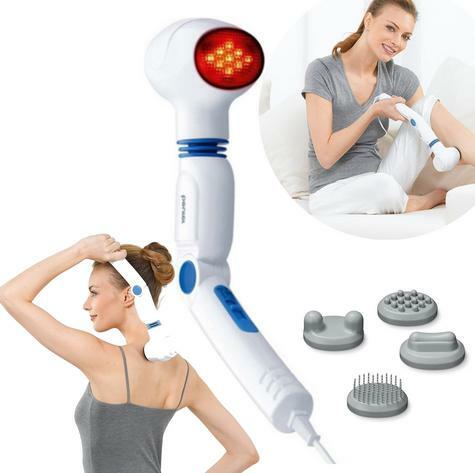 In addition, the application of infrared heat reinforces the effect of the massage delivered not only by warming the surface of the skin but also by promoting circulation in the area. 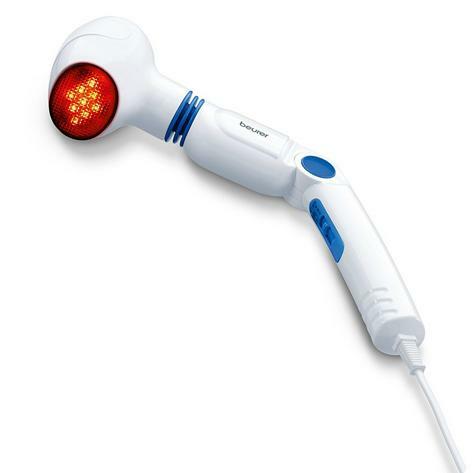 This enables the massage to reach deeper layers of tissue and muscles aiding the natural healing process. Beurer GmbH medium sized privately owned group operating a global distribution network in more than 80 countries and currently has a workforce of 350. 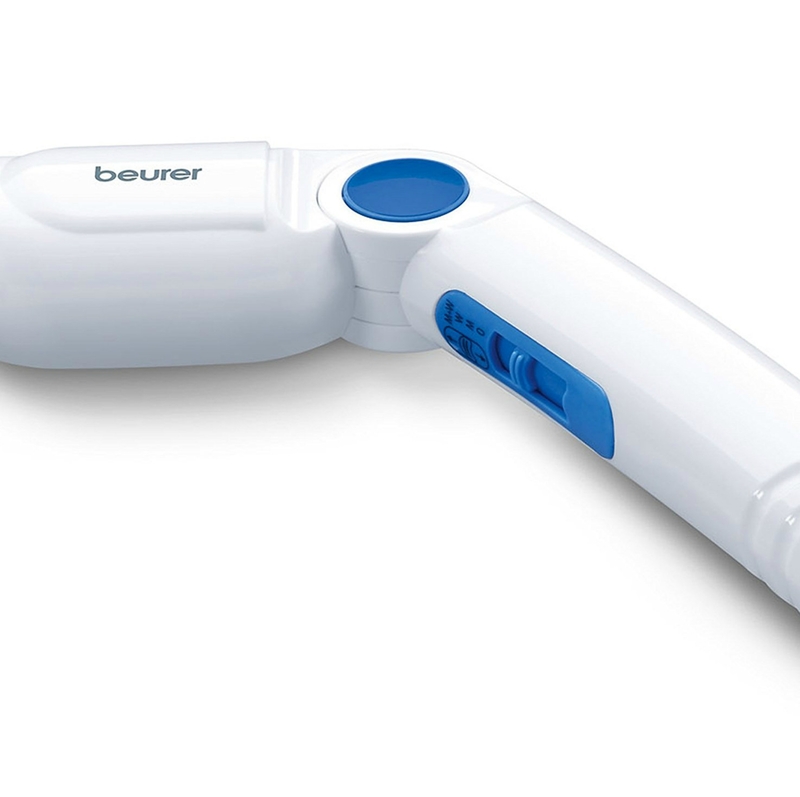 Beurer is the European one–stop specialist for health and well-being consumer electronics products. Our success is due to our long-standing reputation for well-engineered, quality made products; driven by innovation and safety.